In the current economic climate, everyone is looking to save a bit of money here and there. This is especially true when it comes to the appearance of our homes, the upgrading of which is usually considered a luxury rather than a necessity. As such, many homeowners are either choosing to forego renovations all together or complete renovations themselves. In theory, the latter is the perfect compromise; you still get to change the appearance of your home but you don’t have to fork out for expensive contractors to do it for you. Unfortunately, it’s often the case that a dream DIY project turns into a nightmare before you can say ‘I wish I’d called someone in’. DIY isn’t easy, especially when it comes to renovating a bathroom. Here are four things you should know before you embark on your own bathroom renovation project. It’s not always cheap – One of the greatest myths surrounding DIY is that it’s cheaper than getting in professional help. On the face of it, it seems like an obvious thing to think. The cost of materials alone is always going to be cheaper than paying for the materials and hiring help. There’s just one small factor missing from that equation, however: mistakes. Mistakes can and will happen over the course of a DIY project and, depending on the extent of the damage that said mistake causes, can cost a small fortune to remedy. In some instances, these mistakes need to be fixed by a professional which means you incur the costs of professional help on top of any money you’ve already spent. That’s not to say you should always hire a professional, of course. But it does mean you should consider the scope and technicality of the job before carrying it out yourself – overestimating your abilities can cost you dearly. It can take forever – Work surfaces should be used wisely. Keep appliances and utensils either in cupboards or against the wall so there is plenty of room to chop, grate, roll, marinate and stir. Keep these surfaces clean so when it’s time to cook your next meal the kitchen is ready and waiting for you to begin. There’s nothing like a clean kitchen to get you in the mood for cooking. Surfaces scattered with crumbs, cutlery or tea towels will affect your motivation to prepare food. Everyone’s heard the horror stories about DIY projects laying forlorn for years, abandoned by budding DIYers who either got bored or ran out of money. While those are pretty extreme cases, a lot of DIY projects can end up taking a lot longer than intended. The reason for this can be found in the distinctly different approaches to a renovation by a contractor and a DIYer. For a professional, your renovation will be one of many, another job among others. Because of this, time efficiency is absolutely essential. Overrunning on a project can cost them a lot of money and lose them work. By contrast, the only issue for someone carrying out their own DIY project is a potential ear-bashing off their nearest and dearest for being lazy. Lacking a plan can lead to a project taking a lot longer than it should so before starting, you should assign tasks for certain times and dates. Not only will it keep you on track, but it’ll also give a goal to aim for and give you more incentive to work instead of sitting in front of the TV. It’s technically complex and hazardous – The bathroom is one of the hardest rooms to renovate on your own, simply because it relies so heavily on plumbing and electronics. A rogue nail in a wall here or a slip with the drill there can lead to power cuts, burst pipes and all kinds of dangerous mistakes. There are two solutions to this. The first is to properly scout out where pipes are using a stud metal detector. This will help you to avoid causing any disasters. For more complex plumbing and electrical jobs though, you should call in professional help. Even something as a simple as hooking up an oak bathroom cabinet oak bathroom cabinet with a shaver socket to the mains can be a complex job.The time it takes to learn and master these tasks far outweighs any costs you’ll incur from a professional. You need to balance fashion and function – Designing the perfect bathroom requires a fine balance between fashion and function, a room that looks great but that can also be used for its intended purpose. Unfortunately, a lot of people often fall down too far onto the fashion side, leaving their bathroom a good-looking yet awkward mess. When planning out a bathroom, always plan functions first and fashion second. 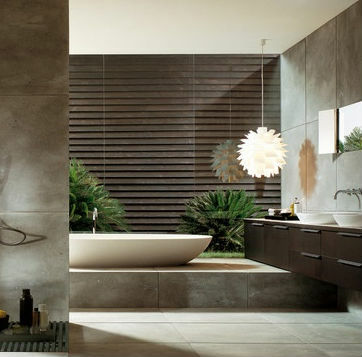 Measure out your bathroom and consider how different items will relate to each other in the grand scheme of things. Then, you can consider which illuminated bathroom mirrors illuminated bathroom mirrors you want and which bath mat will ‘really tie the room together’. you want and which bath mat will ‘really tie the room together’. DIY, done right, can save you a lot of money and give you a remarkable sense of satisfication – just remember to approach with any project with caution! This article was posted in Bathrooms, Guest Posts. Bookmark the permalink. Follow comments with the RSS feed for this post.Post a Comment or leave a trackback: Trackback URL.